It’s an old but effective technique to introduce your product to the next generation of addicts customers. Like the corner drug dealer, “The First One’s Free” and Burt’s Bees is getting into the act. Nominally to celebrate Burt’s 25 years in the business, the company is giving away 1,000 free tubes each day for 25 days. The giveaway starts anytime between 9 a.m. and 12 noon EDT but no one knows exactly when! To equal the odds and give you the fairest chance at a free balm, we’ve randomized the giveaway to start anytime between 9 a.m. and 12 noon EDT. It could be anytime. For instance — it may be 9:15 AM one day, 10:25 AM the next, or 11:51 AM the day after! We don’t know either - and that’s what makes it fun! And if you don’t get it one day, you’ll get your chance. The balm giveaway goes through June 20, 2009.
hiya i have a problem with my lips i tnink im addicted to lip barm wen i stop using it my lips go so sur i try not 2 use it but it hurts my lips so i put lip barm back on i need some one 2 tell me what should i do?. Why are they giving all away all of that free lip blam? I bet all of the adicts that don’t know that they are adicted are going to want lots of it. Hi, My name is Teresa and I’ve been addicted to Burt’s Bees Lip Balm. Actually I quit using on Sat., and today is Monday. My lips feel very dry and tight and look so blah. They are not peeling, but there is just no moisture. I’m 54 years old, and I started using lip balm habitually when I was 18. 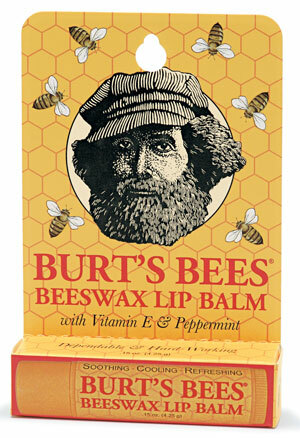 I used petroleum jelly for years straight from the jar all day (and night) but finally quit that around 5 years ago and ended up substituting Burt’s Bees but I had no idea it was addicting too! Anyway, I’m using some coconut oit now to help ease the transition. Will be so happy to have normal lips again and the sooner, the better. Thanks for sharing your stories. I don’t feel quite so bad now. Hi, I’m Lily and I’m a teenager. I’ ve become addicted to lip balm. Every kind in any shape or form. I don’t know how to break from the cycle. I am trying to use it once every hour and wean myself off from there, but it’s been hard. Chapstick can’t possibly be good for my lips, but my lips already feel dry and cracked, and that can’t be healthy either. Any ways to help me wean off the addiction? I’m really trying but it’s been tough. And now every time I eat salt my lips sting. The appearance of my lips is grossing me out too. I just hate wanting it so bad. I am obsessed with the feeling it gives me, not just the hydration. Is there any substitutes I can use as a ‘grease’? I read on here that one person used olive oil, although I’m not sure if I can just bring a tub of olive oil to my classes. Please help and tell me when my lips will start to hydrate on their own.